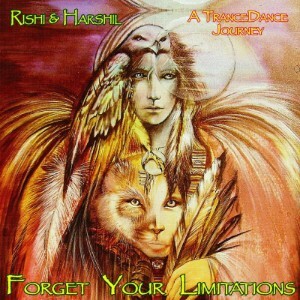 FORGET YOUR LIMITATIONS was the long awaited TranceDance album and the first collaboration with my dear friend, Drumcircle facilitator and co- musician Harshil. We had high demands on ourself and the music we wanted to present. So we took 3 years of composing, recording, editing and mixing to finally achieve a real TranceDance Journey that is used by many DJ's, seminar leaders and TranceDance facilitators worldwide. This highly dynamic mix of realtime acoustic percussions, voices, electronic elements, sampling and interwowen nature sounds creates a perfect soundtrack for a nonstop journey to explore the depth of your soul, find answers or guidance or just have a great dance. Inspired by the works of Frank Natale, Alain Eskinasi and Pim Killian as well as Gabrilelle Roth, we started every composition from the rhythmic elements, which is the core of the dance. 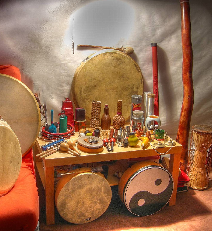 Chanting, voices and nature sounds keep the dancer connected to the earth, while the electronic sounds support the airy elements of the journey. The titel is a mantra and a suggestion - inside our own reality the only limits are set by your imagination.